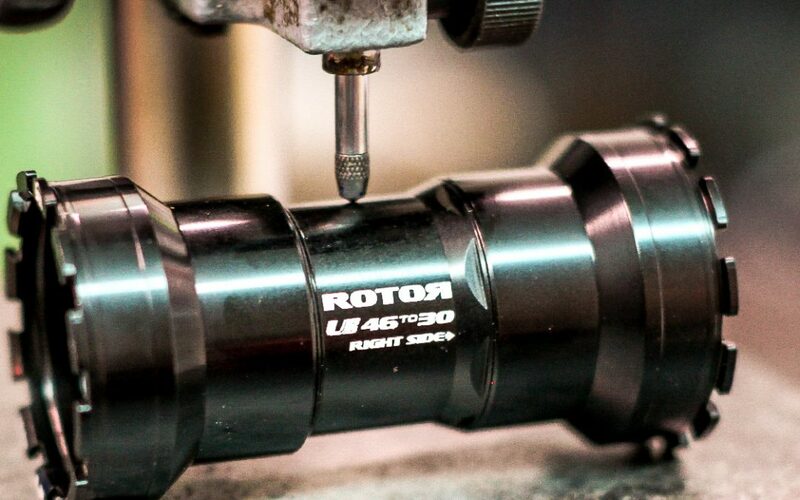 ROTOR came up with its Universal Bottom Bracket (UBB) concept to reduce the frustration that both pro and amateur bike mechanics experience when forced to deal with the many different bottom bracket and crank standards currently available throughout the cycling industry. In this article, we explore three main advantages to ROTOR’s UBBs. Thanks to ROTOR’s innovative UBB concept, you can run your favorite ROTOR cranksets in almost any currently available bicycle frame regardless of which bottom bracket standard it uses. In fact, ROTOR has created a full range of bottom brackets to work with its cranks that have 30mm diameter axles. For example, want to swap your ROTOR INpower or ROTOR 2INpower crankset to your new bike that has a different bottom bracket standard? No problem! Simply select the correct UBB design per your new bike’s bottom bracket standard, install that bottom bracket, and transfer your cranks over from your “old” bike to your “new”bike. To make its UBBs function exactly as designers intended, ROTOR starts with high quality materials and puts them through rigorous manufacturing processes. The result is a quiet, smooth, solid-feeling interface between cranks and frame. For example, ROTOR’s UBB4630 is made with a 7000-series Aluminum alloy. Its threaded internal sleeve locks both cups in place rather than relying on the locking effort only of the press fit shell, so you experience a uniform feel and no creaking as your bottom bracket spins. Effectively, the flush fittings in the press fit region and generally tight tolerances prevent bearing overload and ensure good bearing alignment for longer bearing life. And thanks to its internal sleeve design, cables for electronics like power meters can easily pass through your UBB without rubbing against rotating parts. ROTOR’s UBBs are available with two different bearing kit options to suit your weight, price and performance preferences: chose from steel or hybrid ceramic. Check out ROTOR’s many bottom bracket offerings. View ROTOR’s UBB System Compatibility Chart for road, triathlon and mountain bikes.